The POSB Smart Buddy programme has been undergoing testing for the last twelve months and is now live at a total of 19 primary schools. “The programme further creates a digital payments ecosystem within the school where the school’s canteens and bookstores are set up with digital payment terminals. 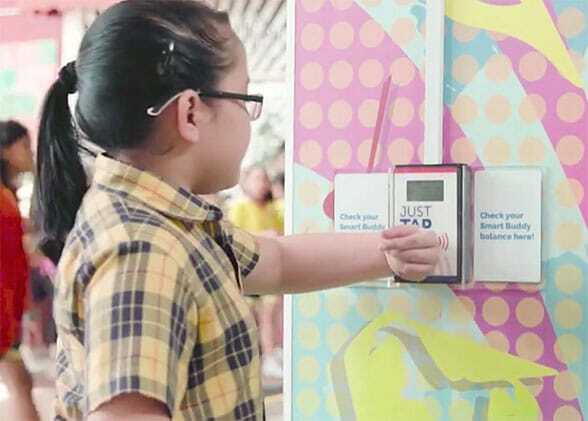 Students can simply tap and pay with their POSB Smart Buddy watches. Teaching students how to save and manage expenses — Daily transactions are tracked on the POSB Smart Buddy app, with a three-month history provided, so students can monitor their savings and spending patterns over time. Students can create their own savings goals on the app, with completed goals recorded as badges. They can also buy digital Smiley Stamps at 50 cents each at their school bookstore to complete their digital stamp savings card. Once the card is complete, the savings will be automatically transferred to their POSBkids savings account. Students can also use the watch to pay for purchases at all merchants with Nets contactless terminals, such as Popular bookstores. Greater convenience for parents, coupled with security — Parents can link their savings account with the POSB Smart Buddy app and manage their child’s spending by setting a daily allowance limit. They can also view their child’s purchases in real-time, and increase the daily allowance limit remotely for emergency spending money. Accumulated savings can be automatically transferred into their child’s POSBkids account. If the child loses their watch, parents can remotely disable the device instantly. Fitness and health tracking — The POSB Smart Buddy watch also doubles as a fitness tracker and can track daily steps, distance travelled, and calories burnt. The next steps for the service is to add a location tracker and a biometric feature, the bank adds. “The programme may soon feature an in-school locator, which allows parents to track their child’s location within the school compound (canteen, library, classroom, etc. ), and a school bus locator where parents can track the real-time location of the bus and be notified when their child boards or alights from the school bus. Both features are currently in the testing phase. When I was a child, I got a passbook. Forty years later, my godson got an ATM card. His daughters will get mobiles and wearables. Their kids will get implants or drinkables.